Wine and cheese are a delicious combination perfect for a party atmosphere. When hosting a wine and cheese party, the pairings are very important. Certain pairings really complement each other, and some really do not. You can play it safe by buying wines that are pretty mild and pair very well with a variety of cheese, but it is more interesting to serve many types of wine. A rule of thumb when drinking different kinds of wine in one sitting is to drink from white to red. Start with a sparkling, go to the lighter whites, then the heavier, and then the reds. At the end of this, you can also have a “sticky” wine, which is a sweet, syrupy-like wine that you drink a small glass off to finish off a tasting or meal. When trying many types of cheese, the rule is similar. Start with a more mild cheese and work your way up to the stronger, more flavorful types of cheese. In trying different wine and different cheese together, match them up according: a soft wine with a soft cheese, like sparkling wine with a Camembert. Afterward, try a mild goat cheese matched with Sauvignon Blanc or Riesling. Next, move onto a Brie. Pair this with a Chardonnay followed by a Pinot Noir. Once you get to the harder cheese, like cheddar, pair this with your darker reds, like Cabernet Sauvignon or Syrah. If you are serving a blue cheese, Riesling, a lighter white wine, will mellow the intensity of the cheese. If you have Pinot Noir, it pairs nicely with many types of cheese because it is a softer red. There are many different pairings that you can make with various types of cheese. If you want, you can try the pairings yourself before the party and decide what you think goes best. You can either have a sit-down wine and cheese tasting party where everyone tries the pairings together, or you can leave everything on the table and allow people to choose what they prefer. It is nice to be a guide, as the host, to suggest what goes best, but you can also allow your guests to try whatever they would like and draw their own conclusions about how well the wine and cheese taste together. To make sure the event is entertaining, remember to play music and have other activities. You could include a blind tasting where there is a bottle of wine in a brown paper bag, unmarked. Allow people to try the wine and guess what kind it is. Whoever guesses correctly could win a prize or just bragging rights, depending on what you decide. You could do the same with a cheese. Leave one unmarked and have guests try it, guessing what kind it is. 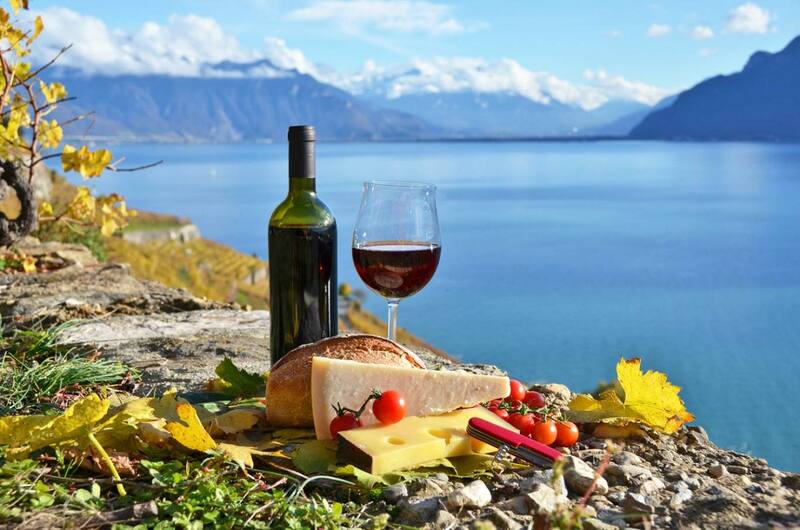 It is typically easier to guess the type of cheese than the wine, but it is still fun to have people participating in these types of activities. In addition to the wine and cheese, providing fruit, nuts, and other snacks is a nice touch. Be sure to have crackers for the cheese, and label the cheese on the table so that people know what they are trying. Have a great party, and hopefully you will come up with some great pairings! Disclaimer: Drinking is injurious to health and TDB does not promote drinking or the consumption of alcohol in any way. I used to be recommended this web site by means of my cousin. I’m no longer certain whether or not this put up is written via him as nobody else recognise such precise about my trouble. You are amazing! Thanks!